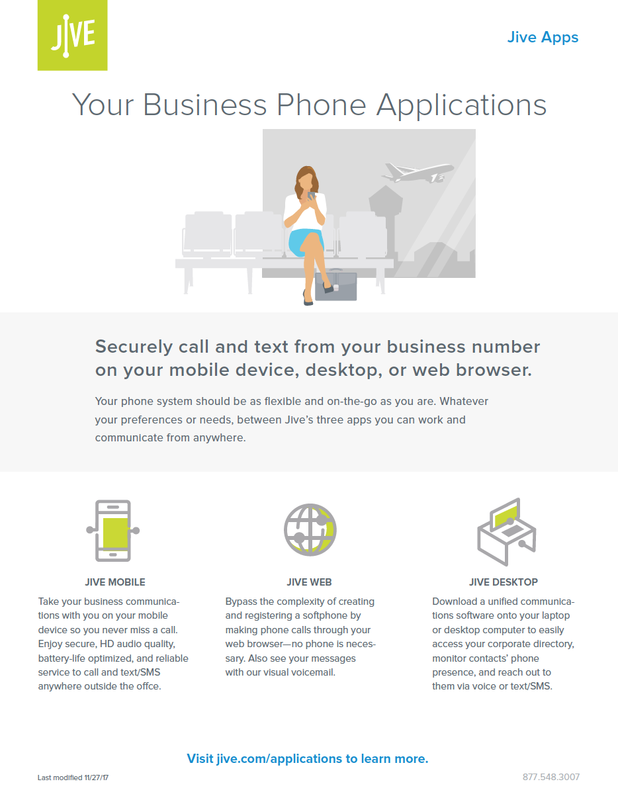 Your phone system should be as flexible and on-the-go as you are. Whatever your preferences or needs, between Jive’s three apps you can work and communicate from anywhere. 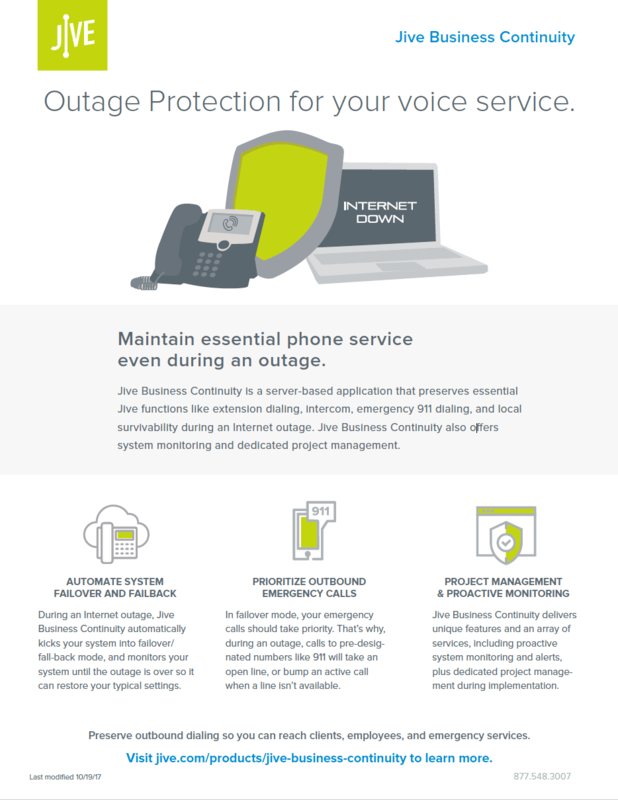 Jive Business Continuity is a server-based application that preserves essential Jive functions like extension dialing, intercom, emergency 911 dialing, and local survivability during an Internet outage. Jive Business Continuity also offers system monitoring and dedicated project management. Jive offers intelligent, scalable, and powerful cloud contact center solutions and real-time analytics to organizations of all sizes. 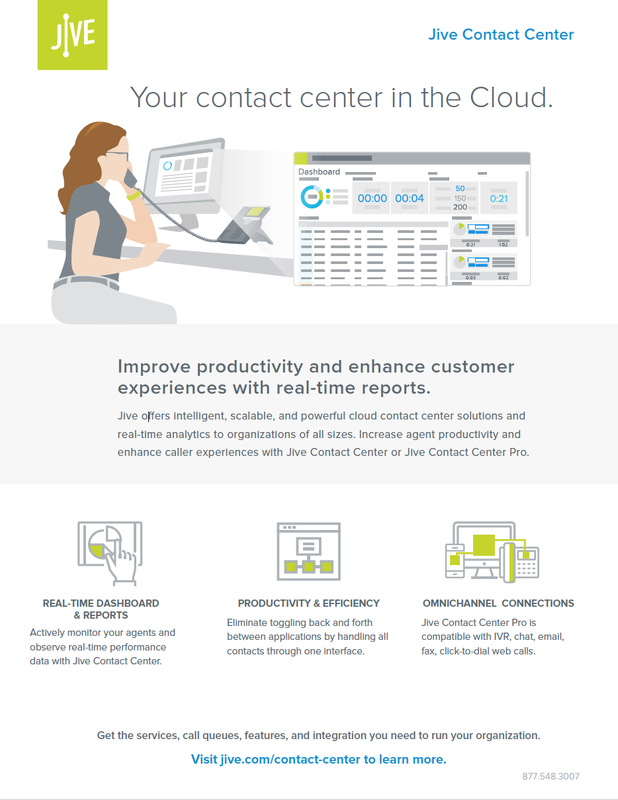 Increase agent productivity and enhance caller experiences with Jive Contact Center or Jive Contact Center Pro. 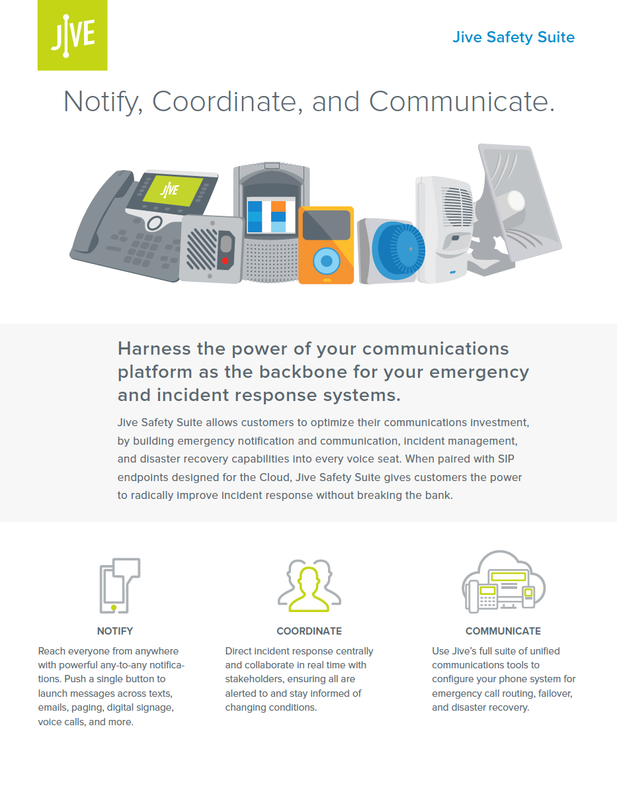 Jive Safety Suite allows customers to optimize their communications investment, by building emergency notification and communication, incident management, and disaster recovery capabilities into every voice seat. 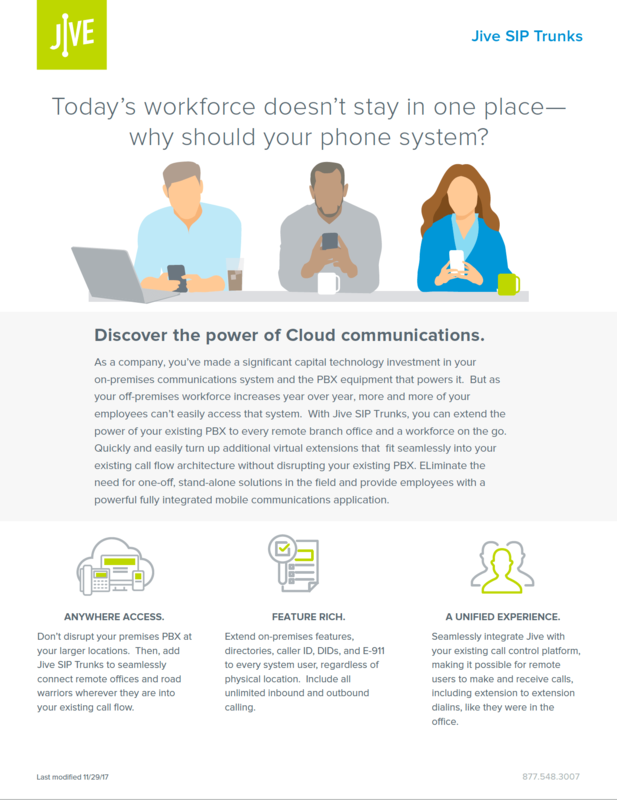 With Jive SIP Trunks, you can extend the power of your existing PBX to every remote branch office and a workforce on the go. Quickly and easily turn up additional virtual extensions that fit seamlessly into your existing call flow architecture without disrupting your existing PBX. 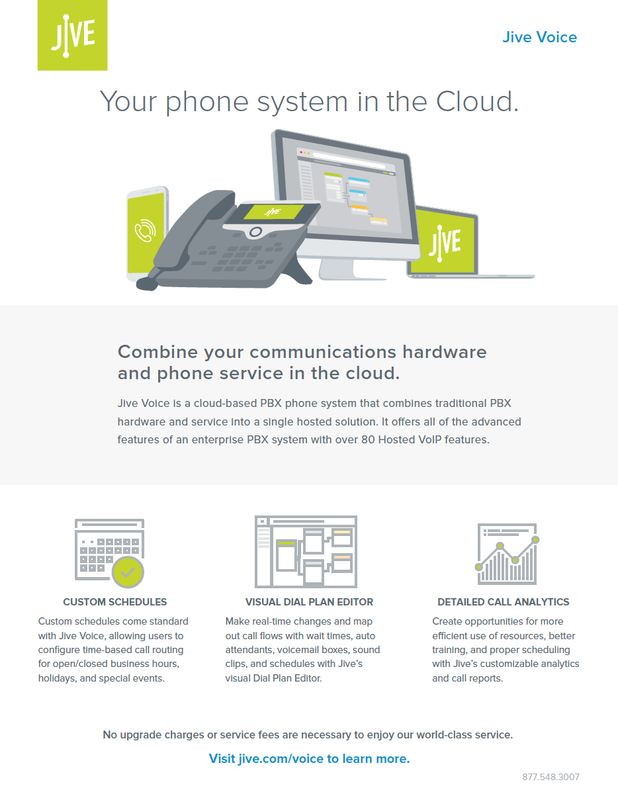 Jive Voice is a cloud-based PBX phone system that combines traditional PBX hardware and service into a single hosted solution. It oers all of the advanced features of an enterprise PBX system with over 80 Hosted VoIP features.